Well I am back! And I am really excited about this post because it has me starting a new makeup obsession: Duochrome shadows! 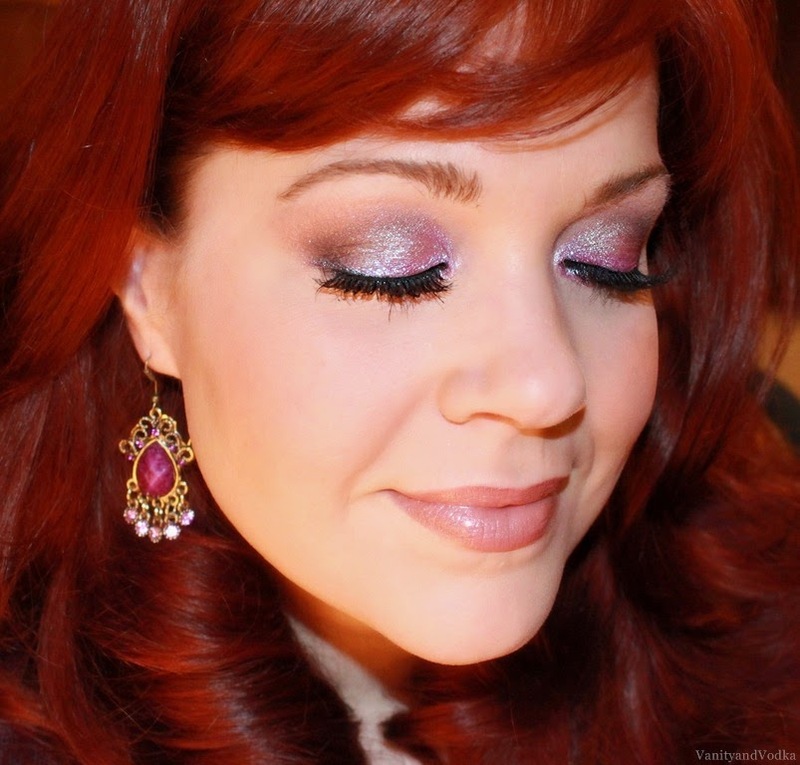 Duochrome shadows are basically colors that shift into another shade, depending upon how you apply them. They can be worn wet, dry, or over a dark or light base. You decide how you want to wear them and how intensely you want the color shift. Duochrome shadows are not new. Nope. They've been around for a while. Why am I so interested in them at the moment? BECAUSE THEY ARE GORGEOUS! It's like being sprinkled in magical fairy dust! :) It's just what I am in the mood for! Before I get into the look, I will tell you that I got this shadow on Etsy (I love to support handmade cosmetics!). This particular shadow came from Russia, and although it is gorgeous, the shipping took a really long time and it was rather pricey. Having said that... I am glad I made the purchase, and let's check it out! For this look, I used Nyx Jumbo pencil in Yogurt (shimmery pinky-beige) as my base. So the purple was more obvious, but the green still lightly popped out. It is an eye catching color!! Let me tell you about the rest of the look! Omg that looks so pretty!!! And how awesome that it can be worn differently! Thanks, girl!! I know!! What's not to love?? Those are great suggestions! I will most definitely try them, thank you!! I've been loving my red cherry #747s lashes the more natural false lash look. But I'm in love with the look of your lashes, do you think that these are too much for going to a wedding? Or should I stick with my #747s? I do love the look of this purplely shadow! No wonder you love it! Thank you so much for stopping by, and your kind words. Have a beautiful day!